An account of the 1911 Kolb expedition through the Canyonlands, which was one segment on their way from Wyoming to the Grand Canyon. The two intermountain rivers, the Green and the Grand, combined to form the Colorado River. The first canyon of the unified river is so incredibly wild, that when Major John Wesley Powell first descended it, he deemed that these were not ordinary rapids but cataracts or waterfalls. Emery and Ellsworth Kolb sought not only to navigate its tumultuous waters, but photograph and film their exploits as well. They hoped to provide material to show at their photography studio on the Grand Canyon rim, and in a traveling motion picture show. 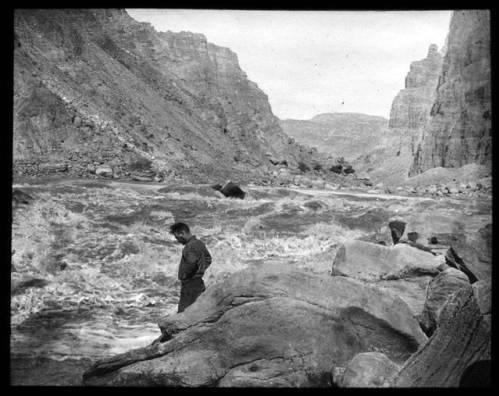 Prior to their 1911 expedition, there were only four known successful voyages through Cataract Canyon, and seven earlier parties that had attempted it were presumed lost. The brothers would attempt to run it in their wooden boats, The Defiance and The Edith that had been repaired many times over. 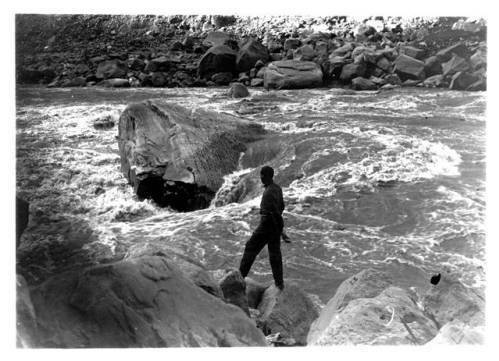 From October 26th to November 2nd, 1911, the brothers negotiated some of the roughest water in the entire watershed, nearly losing their lives several times. In a river over a hundred yards wide and with rapids a third of a mile in length, the brothers took advantage of the huge waves to obtain some excellent film in the twelve miles following the confluence. Moving into the center of Cataract Canyon, the channel narrowed and the thrills increased for the river-runners. Nearly every rapid attempted by the brothers left them soaked and their boats swamped, but each time they passed one without major injury, the brothers’ confidence grew as well. Worsening their troubles, several rapids—21,22, and 23—brought the greatest descent on the whole river, plunging seventy-five feet in three-quarters of a mile. Rapid #22 in particular tested their resolves, when the river threw both their boats against the rocks, causing minor damage. 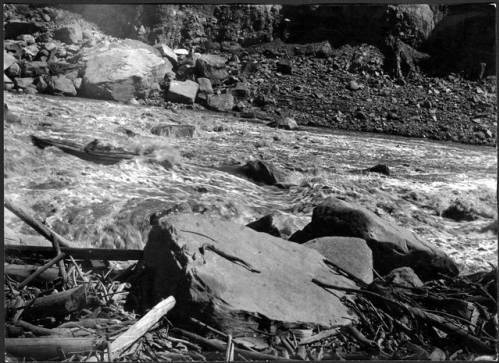 Emery developed a minor sickness as a result of persistent rain, leaving it up to Ellsworth to run both boats through the larger rapids. The benefit to this illness was that it freed Emery to work the camera in dramatic canyons. Continuing through Big Drop Three, a notorious rapid near the end of the cataracts, the brothers came to the confluence of Dark Canyon. Here, they observed above them a cliff-dwelling, pictographs and pinecones—all signs of the heavily forested Bears Ears Mountains, rich with the treasures of native antiquity. Despite many scares, the brothers made it out of Cataract Canyon in only four days, and filmed much of the journey. 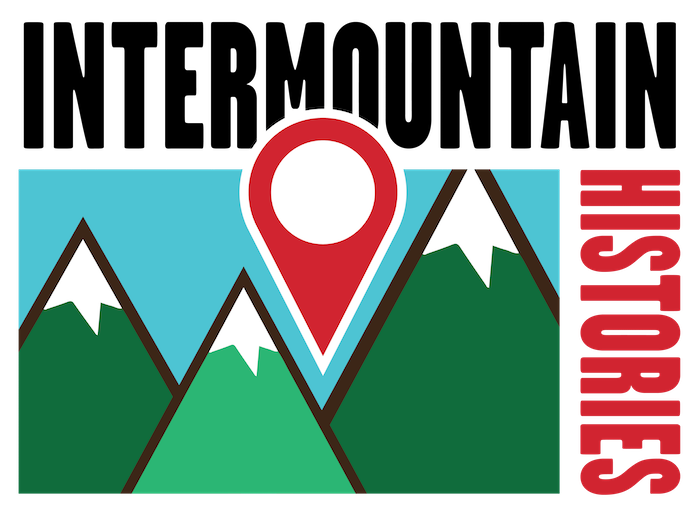 They shot the first motion picture footage of the region, along with some of the earliest photography. The experiences exposed on glass-plates and film by their cameras would strike awe into audiences for decades to come. The brothers were now more than prepared for a journey through Glen Canyon, the second to last major stretch before getting home to Bright Angel, Arizona. 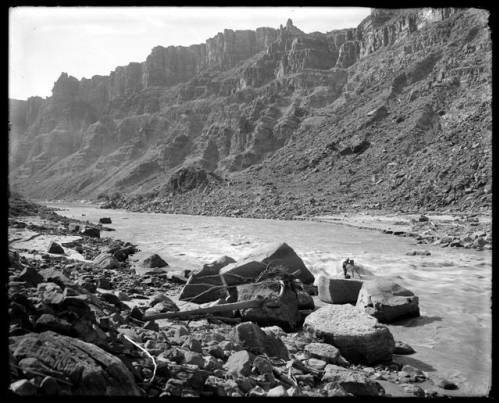 Jonas Dunlap, Northern Arizona University, “The 1911 Kolb Expedition in Cataract Canyon,” Intermountain Histories, accessed April 19, 2019, https://www.intermountainhistories.org/items/show/59. Kolb, Ellsworth. Through The Grand Canyon From Wyoming To Mexico, New York: The Macmillan Company, 1914. Kolb, Ellsworth L., William C. Suran, and Emery Clifford Kolb. The Brave Ones: The Journals and Letters of the 1911-1912 Expedition Down the Green and Colorado Rivers by Ellsworth L. Kolb and Emery C. Kolb, Including the Journal of Hubert R. Lauzon. Flagstaff, AZ: Fretwater Press, 2003. Sailor, Rachel McLean. Meaningful Places: Landscape Photographers In The Nineteenth-Century West. Albuquerque: University of New Mexico Press , 2014.